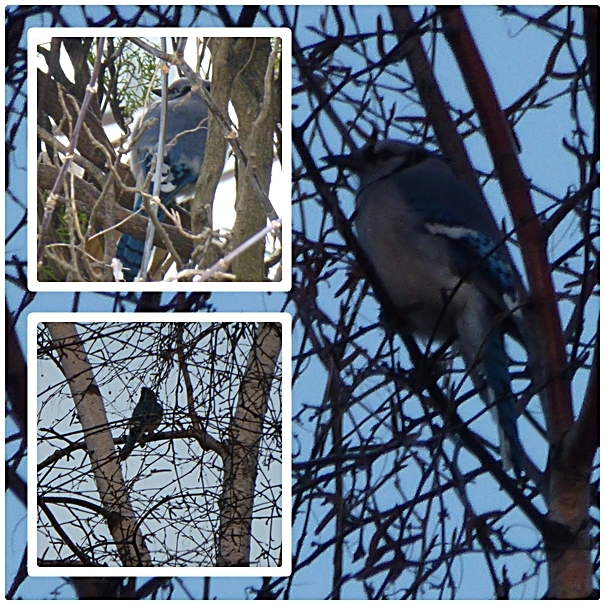 Blue-jays seem to be the dominant birds in my neighborhood. Their presence are always known by the loud noises they made, and if I forgot to put out the seeds, they would let me know that too. 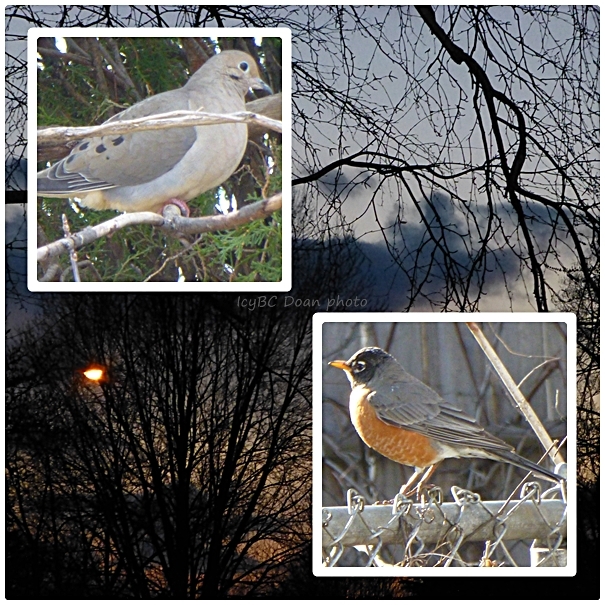 Robins and mourning doves are the other birds around here. 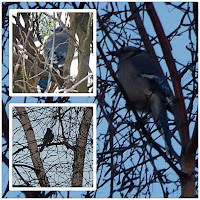 They are my backyard companions and keep me quite entertain while I do some cleaning up in the yard. I have the same backyard birds. They keep me company as well, and provide many hours of pleasure as I watch them from inside. How very lovely. We can hear the birds but it is still very cold! An excellent idea to display the birds. Love your photos! Really like the way you have displayed those great photos.